A state management database is a storage device that is used to temporarily persist state data for software programs. 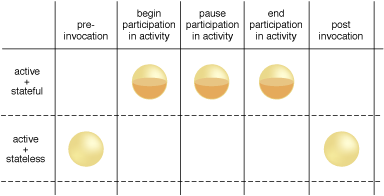 As an alternative to caching state data in memory, software programs can offload state data to the database in order to reduce the amount of run-time memory they consume (Figures 1 and 2). By doing so, the software programs and the surrounding infrastructure are more scalable. State management databases are commonly used by cloud services, especially those involved in long-running runtime activities. 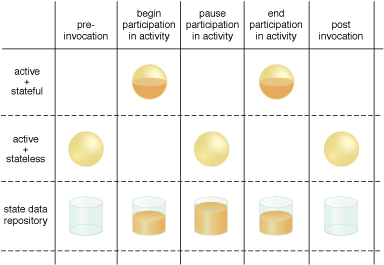 Figure 1 – During the lifespan of a cloud service instance, it may be required to remain stateful and keep state data cached in memory, even when idle. Figure 2 – By deferring state data to a state repository, the cloud service is able to transition to a stateless condition (or a partially stateless condition), thereby temporarily freeing system resources.